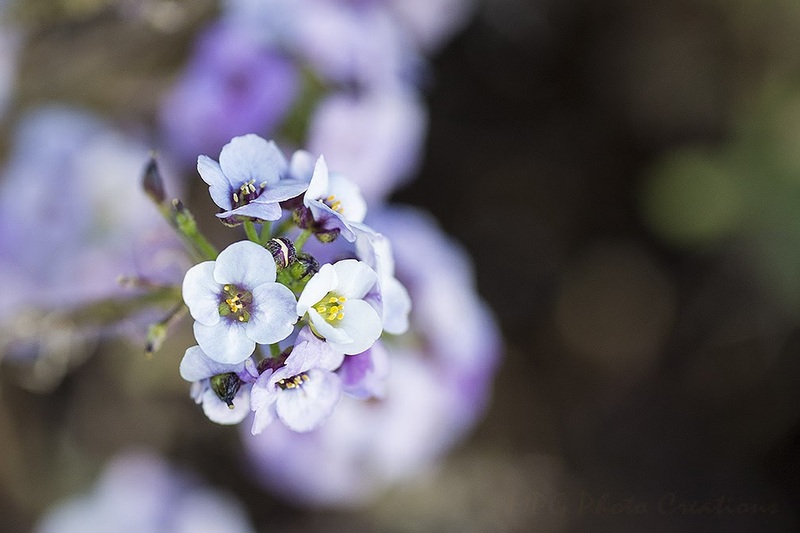 I had several groups and colors of these Alyssum flowers that are supposed to attract Hummingbirds. I never saw one by them but they were lovely flowers in the garden. The flowers are pretty tiny on them so this is a macro of a few blooms. They generally grew in ball shaped clusters of blooms.